'RNLI Edward and Barbara Prigmore leaving Oban for Portree. 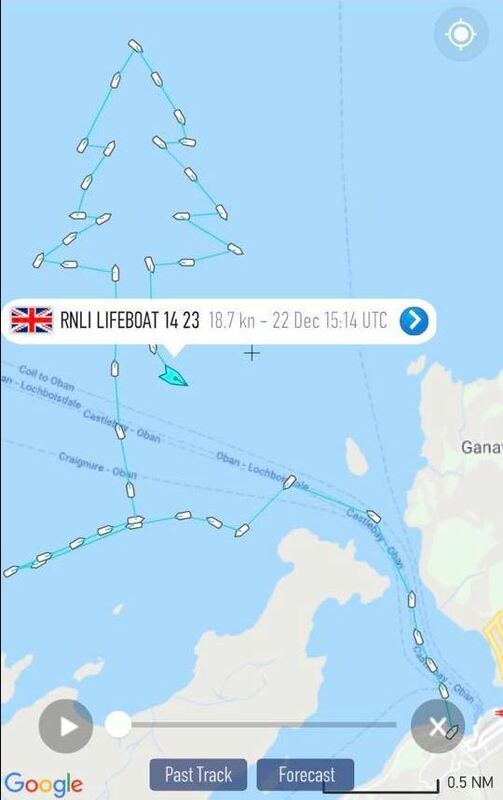 Navigation on the high seas can be tricky at the best of times, but the crew at Oban Lifeboat Station utilised their navigational aids at the weekend to spread festive joy and cheer. 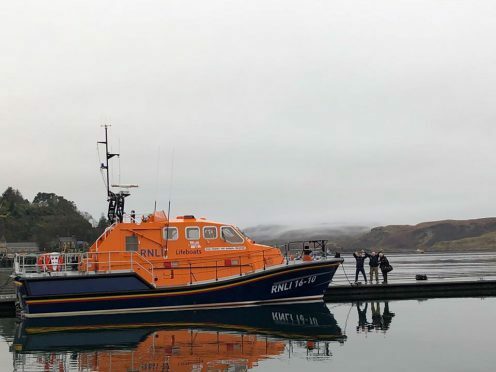 During their last training exercise of the year, RNLI volunteers at Oban decided the time was right to shake up their navigation and course steering skills one final time before Christmas arrives and 2018 is brought to an end. The result being that avid users of the Marine Traffic smartphone app and website were entertained to a festive display from the crew, as the silhouette of a Christmas tree was created much to the amusement of the stations substantial Facebook following. In an online post, Oban Lifeboat Station said: “Last training of the year for our volunteer crew today. We thought it was time to spruce up our navigation and course steering skills so a search pattern exercise was needled. It was a little prickly at times but a tree-medous effort by all… we might not fir-get it for a while! “Returning to Oban just in time, as carol singers marked the end of our festive pop-up shop at McCaig’s Warehouse. “We’d like to wish everyone a very Merry Christmas and a Happy New Year from all of us at Oban Lifeboat Station.